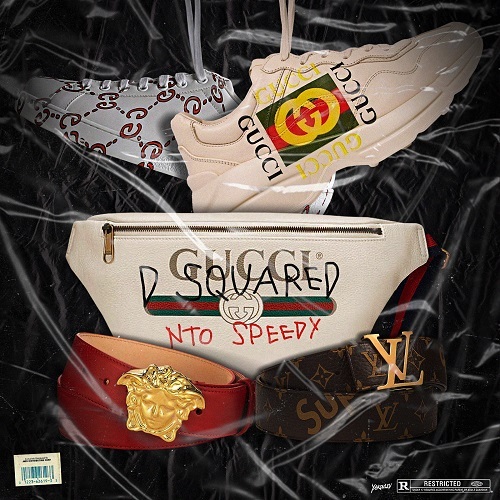 Listen to Nto Speedy float on his latest single “D Squared” where he provides an assortment of flows, cadences and melodies that are sure to catch your ear. Speedy represents Baltimore, Maryland which is a city infamous for violence and poverty but “D Squared” focuses on the lavishness of Speedy’s lifestyle as he flexes the fact that he’s beating the odds and making it in this game. Fashion is an integral aspect of hip-hop in 2018 and Speedy clearly has a pulse on the climate of that industry by referencing his favorite designers and how they all contribute to his unique style. Check out “D Squared” below and look out for more gems coming from Nto Speedy coming soon.